Nordhausen (Germany), March 18, 2019 - Test benches from Poppe + Potthoff Maschinenbau facilitate the validation of products for electromobility. Hoses and valves, pipes or housings are tested for their reliability at varying flow rates, pressures and temperatures. In addition, the performance and efficiency of pumps, control valves or cooling and heating systems can be monitored over the entire life cycle in low or high voltage operation. 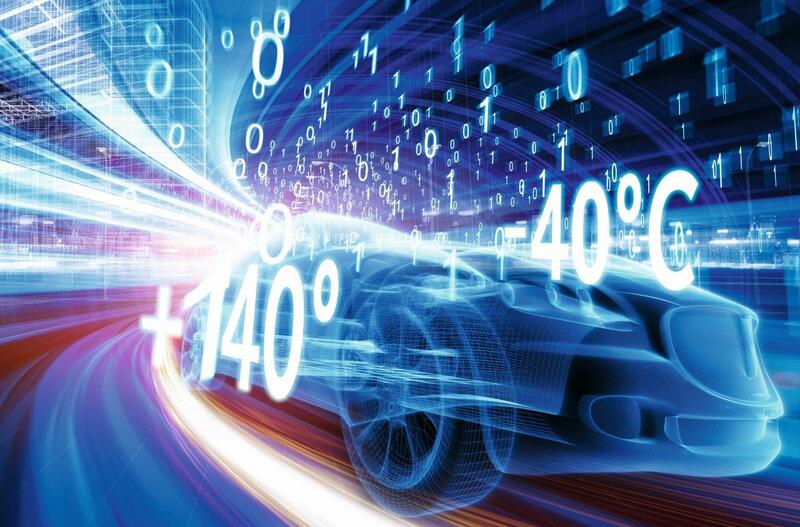 Media-carrying components and systems are essential for electromobility, especially for thermal management. To ensure suitability and optimize quality, the components are subjected to rigorous testing. 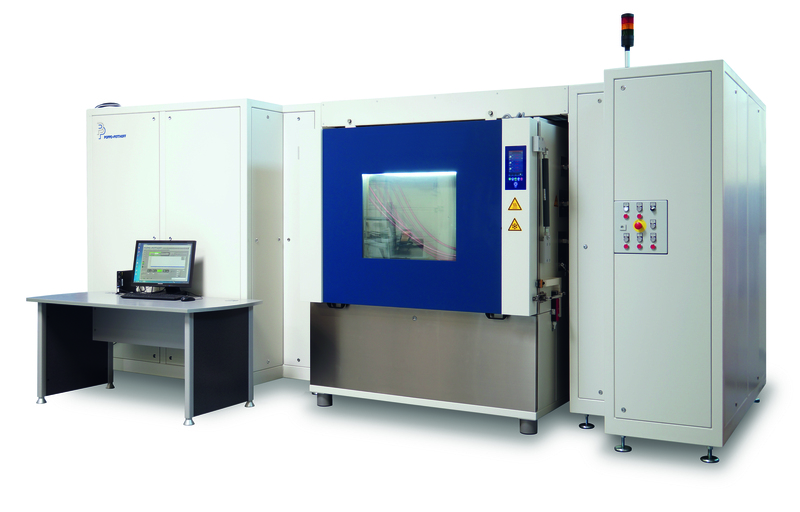 Poppe + Potthoff Maschinenbau’s test benches have been designed to simulate typical working conditions and deliver very accurate measurements over the entire life cycle of the product. At temperatures ranging from -40°C to +140°C the flow rate of the test medium (water glycol mixture or pure glycol, e.g. Glysantin G40, G44 or G48) can vary from 1 to 50 l/min at a pressure of 0.2 to 12 bar or higher. The load changes are freely programmable with sinusoidal or trapezoidal rise at a test frequency of 0.2 to 2 Hz or faster. This allows for reliable and highly efficient endurance testing within days. 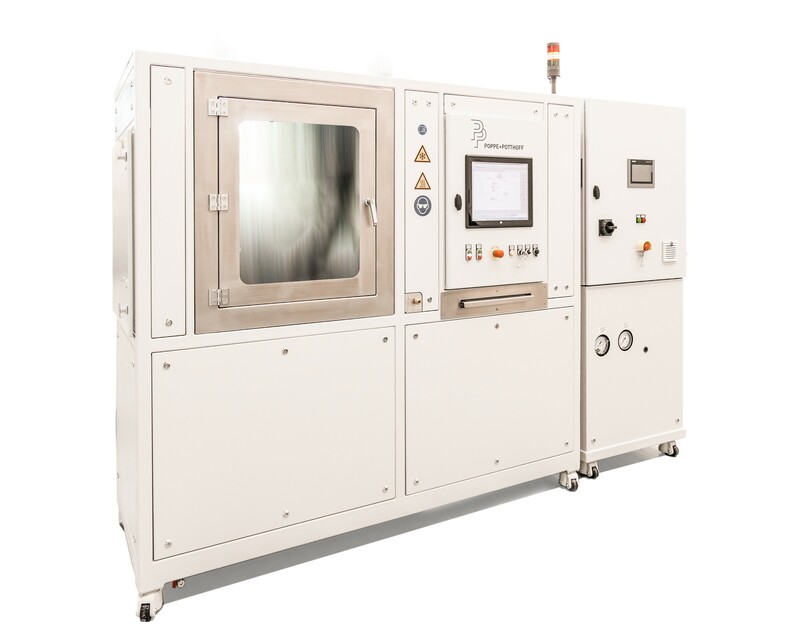 In addition, Poppe + Potthoff Maschinenbau offers function test benches for electrical appliances such as cooling and heating units, control valves, pumps, etc. 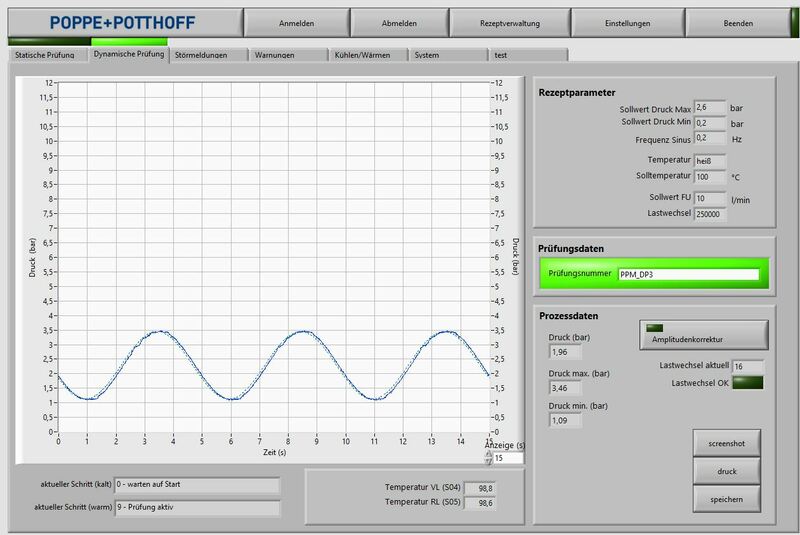 At alternating temperatures, power consumption and performance are tested – optionally with low or high voltage power supply to simulate operation via on-board battery and generator (0 to 20VDC / 5A) or the traction accumulator (0 to 600VDC / 150A). The temperature at the inlet and outlet of the test object is measured, as well as the flow rate, pressure and pressure drop, current and voltage in the high and low voltage range. Optionally, an environmental simulation can be generated in all test stands by using a climate chamber. A specially developed closed test media circuit prevents the formation of potentially explosive alcoholic vapors by means of pressure. 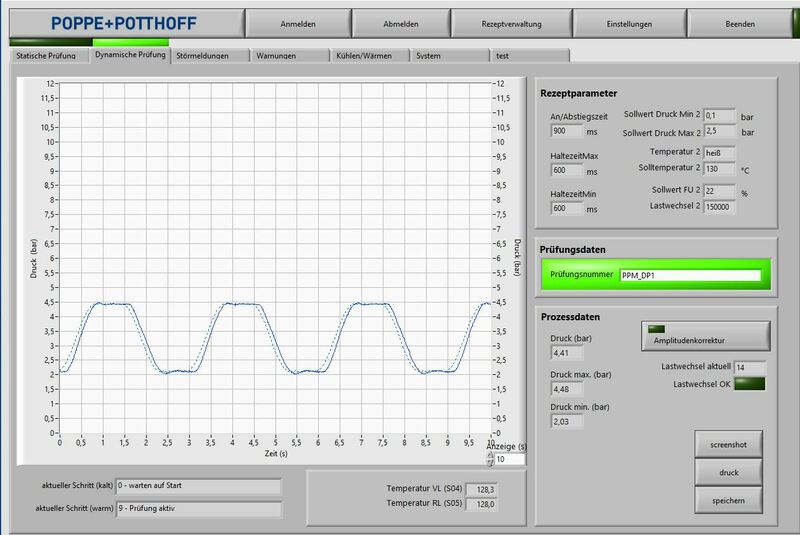 The integrated LabView software from National Instruments enables efficient data acquisition and visualization. All test procedures and data are automatically stored on the system and can be exported to the network for evaluation. The open software structure makes it possible to integrate additional sensors and data during testing. Also, part of the package, Poppe + Potthoff Group can provide numerous testing services, remote maintenance and on-site technicians. Poppe + Potthoff Maschinenbau GmbH develops and produces test benches and special machines for research, development and production in the automotive, shipbuilding and other industries. This includes test benches for measuring burst pressure, leak tightness and fatigue strength, for impulse testing up to 6,000 bar, for autofrettage as well as for functional testing of media-carrying components and systems in vehicles with electric, hydrogen, LPG, petrol or diesel engines. Based in Nordhausen (Germany), the company is a member of the Poppe + Potthoff Group and serves the automotive and heavy-duty industries worldwide.